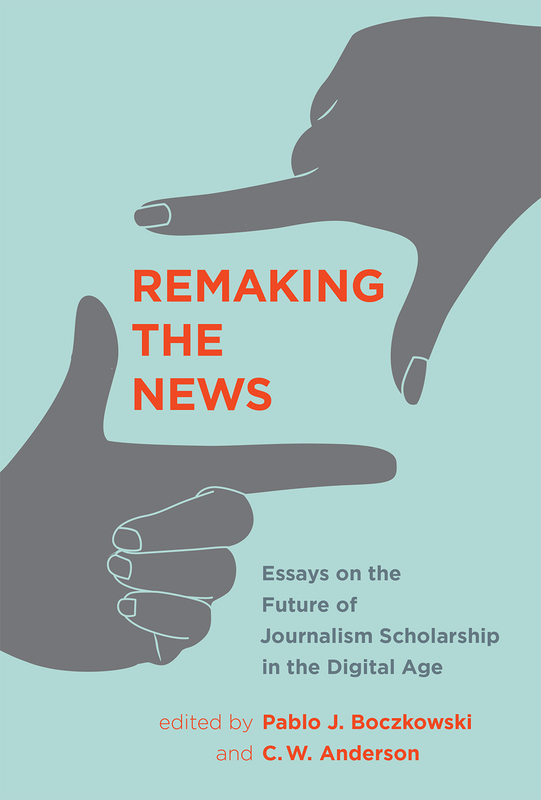 This week and next, Culture Digitally is happy to host a series of excerpts from our contributors’ Pablo J. Boczkowski’s and C. W. Anderson’s new collected volume, “Remaking the News: Essays on the Future of Journalism Scholarship in the Digital Age” from the MIT Press. Over the next few days you’ll see excerpted work from some of the volume’s authors: Seth Lewis & Rodrigo Zamith, Karin Wahl-Jorgensen, Mike Ananny, and Natalia J. Stroud. Our thanks to the volume editors, the authors, and the MIT Press for sharing these thoughtful pieces. During most of the evolution of scholarship on news and journalism, accounts almost always began with the word. And they usually ended with it, too. Pick up a book or an article written during the twentieth century about how the news is made, what it consists of, how it circulates in society, and what effects it has on politics and culture. Most likely you will find an account of words, the people who wrote or said them, and the organizations they belonged to and interacted with. Even works of journalism history often tended to center on this “holy trinity.” Virtually ignored were the transformations in the material conditions of production, distribution, and reception of information that have marked the past few centuries, in particular the previous one. Emanating from the texts that embodied our culture of inquiry was a world devoid of artifacts. Absent from the scholarly foreground—and often even from the background, too—were the very things, tools, machines, hardware, software, and other types of technology that were used not only to write and broadcast the news, but also to produce the inquiries that paradoxically made them invisible. Could the ethnographer proceed without pen and paper? The statistician without calculators and computers? The content analyst without newsprint, footage, and tapes? The publishers without printing presses? Even the most gifted observers of newsmaking, the scholars who left us the seminal texts that have informed our discussions for decades, like Gaye Tuchman in Making News (1978) and Herbert Gans in Deciding What’s News (1980), managed to depict key practices and processes while stripping them of their material culture. Then came the 1990s. 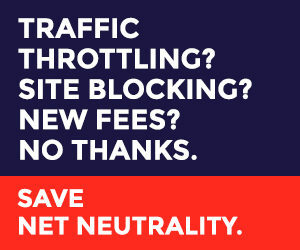 After a long build-up that escaped the notice of most industry analysts and scholars alike, a confluence of technological, economic, policy, and cultural developments that led to the commercialization of the World Wide Web took the world of news by storm. Since then, “the digital” has slowly but steadily moved to the center of attention of media organizations and their reporters and editors, with the concomitant realization that technology is a central and indispensable element of their enterprise. In a fairly dramatic reversal of fortune, most contemporary discussions among journalists begin and end with the intersection of words and things. Focusing on the word alone has become almost unthinkable for those charged with making news. A somewhat parallel process has taken place among scholars. When Pablo decided in 1996 to write a dissertation on making online news, scholarly treatments of the role of technology in journalism were few and far between, and often marginalized within the academic community. 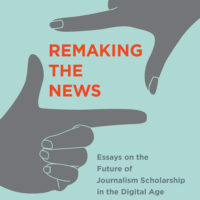 A decade later, when Chris began his dissertation on the rebuilding of the newsmaking ecosystem, technology had gained a central place within scholarly discussions about journalism. Today, if you flip through the pages of any journal or browse through the catalog of any book publisher that focuses on media, news, or journalism, you will be hard pressed not to find many texts that begin and end with the intersection of words and things. The foregrounding of this intersection in scholarly consciousness has not only destabilized the intellectual regime that characterized the making of scholarship about the news but also reinvigorated it. To return to the case of ethnographic studies of news production, the long moratorium (Klinenberg 2005) that followed the publication of the now-classic texts by Tuchman, Gans, and others in the 1970s and early 1980s was brought to an end with a vengeance through a flurry of accounts written by emerging scholars who almost invariably centered on some aspect of the intersection of words and things. Thus, the title of this volume, Remaking the News, is a double entendre about these twin changes in the object of study and the process of inquiry. Taking Tuchman’s canonical text as a stand-in for a particular era of journalism and for the scholarship about it, Remaking the News signals both an acknowledgment of the past and a break from it in terms of how the news is made. It also evokes both an homage to an intellectual tradition about the role of journalism in society and a departure from one of its foundational tenets. The rationale for this collection is found in yet another set of parallels between industry and the academy. Much as journalists have experienced the past couple of decades as a whirlwind, we have experienced what seems to us a whirlwind in research about journalism. A feverish level of activity has characterized the scholarly study of news. Missing amid this ferment has been an opportunity to collectively reflect on what scholarship has achieved so far and, especially, what we might want to add moving forward. The initial impetus for this volume originated during the lunch break of an event at the University of Pennsylvania’s Annenberg School for Communication in Philadelphia, organized by Daniel Kreiss and Joseph Turow. It was held in spring 2013, and both of us were in attendance. During that conversation emerged not only the idea for this project but also the guiding principle that both the assessment of the road traveled and, in particular, the necessary programmatic work would benefit from community-oriented conversations rather than individual or small group efforts. This quite naturally led us to consider starting with that old academic standby—a conference—as the launching platform for this project. From the start our goal was to facilitate a series of conversations that had a significant degree of internal coherence while at the same time respecting diversity of viewpoints. We decided that participation would be by invitation only and focused on a relatively short list of colleagues who had already made an impact on the study of news and whose work was concerned with the relationship between journalism and technology broadly conceived. We wanted to gather scholars who were at a point in their careers when they could enjoy the opportunity to take a step back from their own empirical research. We asked them to write essays on a particular aspect of their own choosing about the relationship between technology and journalism, and to reflect on how it might build pathways moving forward. A second goal was to place these papers and ideas within larger conversations happening within the study of communication and media. To that end, we invited five scholars to comment on groups of the papers in a way that wove themes across the papers and showcased their resonance with those larger conversations. The conference took place on April 11, 2015, at Northwestern University. Prior to the event, we provided feedback to most of the paper writers. During the event, groups of three or four participants, organized thematically, presented their precirculated papers, followed by respondent commentary from our group of senior scholars, and then by open question-and-answer sessions. The conference concluded with commentary by Michael X. Delli Carpini of the University of Pennsylvania, fittingly closing the circle that had started at his home institution two years before. Shortly after the conference wrapped up, the editors asked for second drafts based on the feedback and exchanges during the event. Once these second drafts were submitted, we circulated them to the section respondents and to Delli Carpini, who turned their contributions into section commentaries and the postscript for this volume, respectively. The book now in your hands is thus the result of an extensive and elaborate process to build community through conversation. The pages that follow feature a series of chapters and commentary sections offering an array of interlocking arguments about potential paths forward in the study of news and its role in politics and culture, as well as connections to scholarship on other objects of inquiry. As you will see, there are at times significant disagreements among the chapter authors and also with their respective section commentators. We take these disagreements as an accomplishment of this volume in that they are signs of a healthy culture of scholarly debate. Thus, we thank the contributors for engaging with sometimes conflicting ideas in a respectful and productive manner, both during the conference and in their texts. However, we also think that underneath these disagreements there are key commonalities cutting across the various contributions in a way that endows the collective conversations, and the volume as a whole, with a robust identity. We want to conclude this section by highlighting two of them. First is the realization that the journey from what we have termed a focus on words to a focus on the intersection of words and things might entail a fundamental transformation in what it is that we might want to know about journalism and the news and how to go about knowing it. In other words, the cumulative outcome of the work undertaken over the past couple of decades seems to be less an addition of technology to a somewhat stable canon of accounts about words, people, and organizations, and more an invitation to rethink the canon altogether. This does not mean starting de novo, but it does mean the de-reification of analytical building blocks long taken for granted. Paraphrasing Geertz’s reflections about the blurring of genres of explanation in the social sciences and humanities in the 1960s and 1970s, the collective work included in this volume might represent, “or will if it continues, a sea change in our notion not so much of what knowledge is but of what it is we want to know” (1980, p. 34). Second, and related to the first, is a sense of destabilization about both the news as an object of inquiry and the processes of studying it. Are the stories that a company like Narrative Science produces about stock performance or baseball games the result of newsmaking or computer programming? Or both? Or is it an entirely new category better suited to apprehending what is novel and what is not novel about algorithmic authoring? Is Facebook blending editorial and distribution functions with such a force that it obliterates traditional enactments of both? Should we revisit the very foundations of the editorial and distribution processes to make sense of how news is curated, appropriated, and retransmitted in the contemporary media ecosystem? Similarly, how can one conduct an ethnography of algorithmic work—not the work of producing an algorithm, which is a related but different study—or an account of “personal influence” (Katz and Lazarsfeld 1955) via second-order editing and distribution in social media? Questions like these, which emerge naturally from the essays that populate this volume, would have been unimaginable at the tail end of the twentieth century. But after several decades of apparent intellectual stability in the study of news, these questions now open generative spaces of inquiry by “restoring to our silent and apparently immobile soil its rifts, its instability, its flaws; and it is the same ground that is once more stirring under our feet” (Foucault 1994 , xxiv). This book is composed of four sections, each section in turn comprised of three or four chapters followed by a commentary that takes a broader look at the theme of each section. The book concludes with a postcript by Michael X. Delli Carpini. The three-layer structure of chapters, commentaries, and postscript was devised to increase the interconnection across the arguments advanced by the individual pieces. The first section is devoted to theoretical and methodological issues, including the promise and peril of interdisciplinary work, the role of normative and policy questions, and the relationships between history and ethnography, and between description and explanation. The second part problematizes major concepts that have been used to makes sense of news and journalism such as knowledge, (art) worlds, and silence. The third section grapples with questions of occupational culture and practice, and interrogates the role of the scholar vis-à-vis an occupation in a period of transition economically, ethically, and politically. Each of the chapters in the fourth section addresses what their authors see as a major void in current scholarship on the news: inequality, history, and failure. Over the next two weeks, Culture Digitally will run excerpts from four chapters in this volume: Mike Ananny’s on the role of silence and the people’s right to hear in the networked press; Talia Stroud’s how to problematize the divisions between business and democratic ends of journalism by showing that there are moments when the pursuit of profit produces positive democratic outcomes; Seth C. Lewis and Rodrigo Zamith’s on how Howie Becker’s notion of “art worlds” can act as convenient analytical shorthand through which to understand the emerging forms of journalism; and Karin Wahl-Jorgensen on the importance of studying failure, and not only success, to understand the remaking of news in the twenty-first century. So, stay tuned for more!